Welcome to Russell Crowe Online - your unofficial online web source on the Oscar, Golden Globe and SAG Award winning actor, best known for his performances in "Gladiator", "Beautiful Mind", "Insider", "Les Miserables" and most recently in "Noah". Russell Crowe Online is your premiere source on everything related Russell's past and present career, presenting it with the extensive, eye-pleasure multi media albums. Enjoy your stay and check back soon for Rusty news ! If you'd like to become an affiliate, please contact me with your URL. The first, the only & the best online source for anything Anthony LaPaglia related. Probably The Best Bruce Willis Fansite In The World. Probably The Best Online Collection of Bruce Willis Photos In The World. 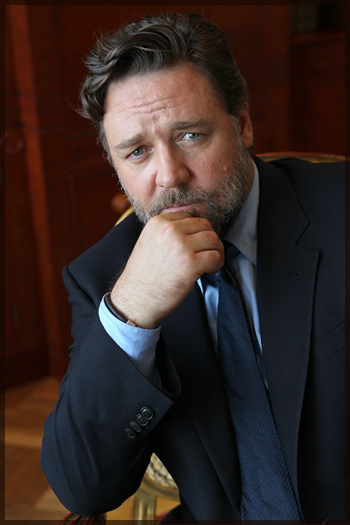 Russell Crowe Online is only a fansite and is in no way affiliated with Mr. Crowe or any of his representatives. All content published here is the property of the authors who hold the respective copyrights. Absolutely no infringement intended. Photos, articles etc are published only for informational purposes. If you disapprove of any of the material posted here, please contact the webmaster before taking legal action and it will be removed. This entry was posted on Tuesday, December 2nd, 2014 at 23:45 and is filed under Gallery Updates, Public Appearances, The Water Diviner. You can follow any responses to this entry through the RSS 2.0 feed. You can leave a response, or trackback from your own site.